In part one of this essay, I noted that Scripture shows little interest in tracing the origins of sin, and that the doctrine of original sin runs afoul of modern sensibilities. How are theologians formulating the doctrine today? 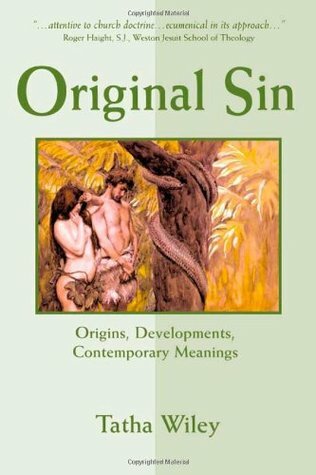 Toews’s book, The Story of Original Sin, takes us on a kind of journey, beginning with his early exposure to widespread notions of original sin, moving on to a guided tour of Gen 3 and its early interpretation, and concluding with a brief survey of alternative accounts of the doctrine. 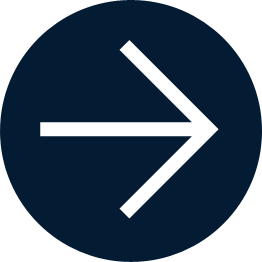 Toews himself is an Anabaptist, and this may help to explain some of his initial unease with the doctrine as well as his choice of contemporary theologians – such as the “baptist” James McClendon and the Mennonite Thomas Finger – as representatives of the way forward. The focus of his analysis, though, is simply to trace the history of the interpretation of Gen 3 that led to the formulation of the doctrine of original sin. The book is barely 100 pages, so Toews’s exegetical and historical work is necessarily abbreviated, often exposing modern views that cannot be tied to the biblical texts and their history of interpretation. Clearly, Toews is just as interested in deconstructing the story of original sin as he and many other Christians learned it as he is in sketching its emergence. None of Toews’s claims about the biblical texts are particularly controversial among biblical scholars, however. For example, Gen 3 does not lay out a theology of the “Fall” or original sin, Paul does not affirm that the entire human family is implicated in Adam’s sin, and many biblical and other Jewish texts typically affirm free will in some sense, together with personal responsibility. Toews’s particularly contribution, then, is not his discovery of new perspectives on original sin but his communicating such widely held scholarly views in a crisp and readable narrative. It should not escape notice, however, that his survey tends to overlook scriptural texts in which sin is neither tied to choice or intention (e.g., Num 15) nor reducible to acts (e.g., Gen 4:7; Rom 6). Turning to early Christian interpretation of Gen 3, Toews finds that the path Augustine would eventually take was blazed not by Greek theologians, for whom guilt for sin could only be the result of a freely committed personal act, but the Latin tradition. Tertullian, for example, linked the transmission of sin from Adam to his heirs to his understanding of the diffusion of the soul from a father to his offspring, while Ambrosiaster misread Rom 5:12 as a reference to humanity’s having sinned “in Adam.” (The phrase in question is ἐφ᾽ ᾧ [eph’ hō], typically taken today as a marker of cause: “because all sinned” [e.g., NIV, NRSV].) Augustine went on urge that “sin originated in the transgression of Adam and was transmitted from generation to generation through human reproduction” (p. 85) – and this is the view that Toews regards as biblically erroneous, theologically problematic, and scientifically untenable. From Toews’s perspective, then, the church ought to purge from its vocabulary the language of “original sin,” since it is ineluctably tied to Augustinian categories. Instead, the church ought to think of sin as “enslavement to transpersonal and structural powers…that have the world and human in their grip,” and to which we allow ourselves to be seduced as we embrace those powers and their sinful ways (p. 108). For her part, Tatha Wiley is unwilling to give up the language of “original sin,” both because of her grasp of the history of the doctrine but also, and especially, because she recognizes its crucial role as a central organizing principle for Christian faith (Original Sin: Origins, Developments, Contemporary Meanings [Paulist Press, 2002]). It locates the origin of evil in human beings rather than in God, it accounts for why human beings do not love God and neighbor, and it explains why humans die. Moreover, it provides the impetus for the incarnation and for Jesus’ sacrificial death, as well as underscores the importance of the church in Christian formation. Nevertheless, Wiley is aware that the notion of original sin has fallen on hard times in the modern age. “For us, though, modern persons that we are, this talk about what Adam and Eve did, a time before the fall and after, and a sin transmitted from the first of our kind down to each of us today elicits a feeling of disconnect between the world known through the natural sciences, history, and other modern disciplines and the world known through religious doctrines” (p. 1). Simply put, as traditionally conceived, original sin does not fit very well with contemporary sensibilities. Roughly half of Wiley’s study tours Christian origins, the early church, and the church in the medieval and Reformation periods. The purpose of this survey is twofold. First, Wiley wants to demonstrate that the doctrine of original sin does not originate in Scripture itself but was a development from scriptural warrants. Scripture assumes sin rather than traces its origins, and bears witness to the solidarity of the entire human family in sin, but the idea of original sin itself is a post-biblical development. Second, her survey shows how thinking about original sin has been tied to particular historical contexts, needs, and debates. 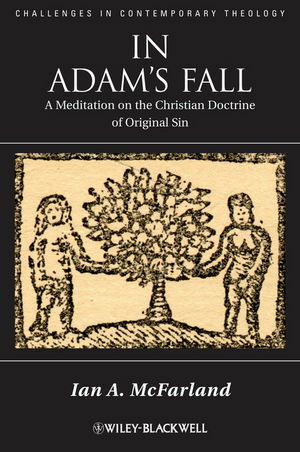 And this allows her to ask whether the traditional formulation of the doctrine of original sin – particularly as it was tied to notions of a literal Adam and Eve, a historical “fall,” and a clear-cut distinction in the nature of humanity before and after the first sin – is identical to the meaning of humanity’s alienation from God. To put it differently, if biblical exegesis has undermined theological readings of Gen 3, and if the natural sciences have undermined premodern ideas about human origins, then how might we speak of original sin? And on what might talk of original sin be grounded? The second half of Wiley’s book introduces contemporary theologians who continue to talk about original sin, but who do so along other lines. These include a Roman Catholic (Piet Schoonenberg), a Protestant (Reinhold Niebuhr), and feminist theologians (especially Rosemary Radford Ruether), as well as Bernard J.F. 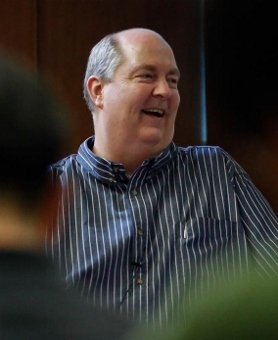 Lonergan, in whose work Wiley finds resources for rethinking original sin from the ground up. In her view, the doctrine of original sin has no traction if it depends on a historical Adam and Eve. However, it remains important and has powerful explanatory value if it is understood instead “as the sustained unauthenticity of human beings, their alienation from the divine source of their existence, and the personal and systemic evils that issue forth from individual and collective unauthenticity” (p. 207). Focusing as she does finally on the observable phenomena of human sin, Wiley’s interests are in some ways reminiscent of Wesley’s sermon “On Original Sin,” in which Wesley verifies the doctrine with his appeal to human experience, demonstrating “the general flood of atheism and idolatry, of pride, self-will, and love of the world” (“Original Sin” §3.1). This is true even if the basis of the doctrine for Wesley was his more traditional reading of Gen 3. For Ian A. McFarland, our notions of original sin must account for the witness of Scripture – which holds that sin can be intentional or unintentional, that sin is a power that precedes human behavior, and that sin characterizes all humans without exception (In Adam’s Fall: A Meditation on the Christian Doctrine of Original Sin [Wiley-Blackwell, 2010). Moreover, he understands the doctrine primarily in terms of the gospel. That is, if, traditionally, the doctrine of original sin was to function both as a theodicy (i.e., an explanation for the presence of evil, suffering, and death in the cosmos) and soteriologically (i.e., humans, all of them, require a savior), McFarland focuses especially on the latter. “Original sin” is “a reflex of the gospel of Jesus Christ,” emphasizing “God’s gracious response to human need”; it is “a self-consistent ac count of what is presupposed by the claim that Jesus is humanity’s sole Savior” (p. 48). In conversation especially with Augustine in the West and Maximus the Confessor in the East, he works out his dual affirmation of the inalienable goodness of human nature, however damaged the will might be, and the congenital sinfulness of every human. And this allows him to posit coherence between the findings of natural science and his proposal regarding original sin as “the will’s damaged state in terms of divided desire that can be healed by grace” (p. 146). This healing is actually a reorientation: “grace turns desire Godward and thereby allows human beings to will the good. In redemption and glory, our willing – the same willing that in our unredeemed state invariably results in sin – brings us to the good, as a result of the fact that our desires have been transformed so as to make such willing possible and, indeed, natural” (p. 147). Someone might counter that Scripture, Paul in particular, says a great deal more than theologians like Wiley and McFarland allow. Indeed, Rom 5:12-21 has been a focal point in the conversation about original sin. 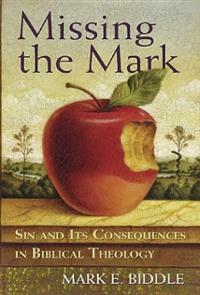 Accordingly, in his biblical theology of sin, Mark E. Biddle discusses this text at length, making a number of key observations (Missing the Mark: Sin and Its Consequences in Biblical Theology [Nashville: Abingdon, 2005], 33-44). First, he notes that Augustine and his heirs based their notion of original sin on this text because of a mistranslation; Paul actually writes “because all sinned,” not, as Augustine would have read it, “in whom all sinned” (see above). Second, Paul does not concern himself with the origins of sin or with sin’s transmission from one generation to the next, but rather assumes the universality of sin in order to ground his claim regarding the universality of death. Third, Paul does not claim that Adam’s sin is transmitted automatically to the entire human family, but rather that the entire human family has been drawn into the sphere of sin’s power (see especially Rom 6). By way of analogy, on account of Christ’s work, humans are able to be drawn instead into the sphere of salvation. Biddle writes: “Paul frequently describes both this potentiality and the universality of human sin in terms of participation in one of two ‘realms.’ One is either in Adam, participating in sin and death, or in Christ, participating in Christ’s death to sin and in Christ’s newness of life” (37). Therefore, humans are sinners on account of their participation in sin, not because, being human, they are automatically sinners. Biddle has a great deal more to say about sin, of course, but this is enough to suggest, yet again, the degree to which the doctrine of original sin is not narrowly biblical in either its origins or development. This viewpoint is documented in more detail by the Orthodox theologian Peter C. Bouteneff, who notes the lack of interest in “original sin” in Gen 3 before observing of Paul that the apostle “does not posit a perfect pre-fallen state, nor does he attribute later human sin to the sin of Adam.” “Rather,” Bouteneff continues, Paul “sees Adam as a kind of beginning – the beginning of a death-bound mode of life. But it is a beginning that does not need to be followed; it does not overcome human free choice” (Beginnings: Ancient Christian Readings of the Biblical Creation Narratives [Grand Rapids: Baker Academic, 2008], 45). Indeed, those readers of Scripture whom Bouteneff surveys – the second century apologists, Origen, and the Cappadocians – consistently emphasize human freedom, and none of them articulates a theology of sin that holds humans as born guilty of Adam’s sin. As it turns out, a great deal depends on how one construes “original sin.” If we mean to signal that all members of the human family, at birth, are implicated in (or guilty of) Adam’s sin, then it appears that the doctrine faces seemingly insurmountable hurdles, not the least of which have to do with the lack of support from Scripture and evidence from the natural sciences. If we mean to signal that all members of the human family have this in common, that from their births they find themselves drawn to sin and that they all in fact engage in sin, quite apart from speculation about sin’s origins, then we are on surer ground with respect to Scripture, both early Christian tradition and certain currents of Christian thought subsequently, and the natural sciences today. What about Wesley’s heirs? Wesley’s respect for the witness of the early church is well known, as is his appreciation of the Cappadocian Fathers; indeed, we often find in his writings an understanding of evil and sin as diseases to be healed by God’s love in Christ. Additionally, given Wesley’s basic commitment to Scripture’s authority and his soteriological hermeneutic, his persistent affirmation of free will, and his avocational engagement with the New Science of his day, Wesleyan-Methodists have much by way of theological resources on which to draw as they formulate in conversation with Wesley their understanding both of sin and of the good news as its antidote.